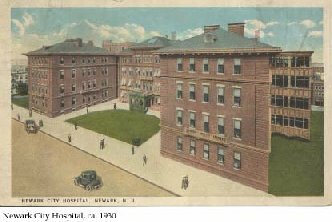 Newark City Hospital, as it appeared in a postcard circa 1930, initially opened in 1898. 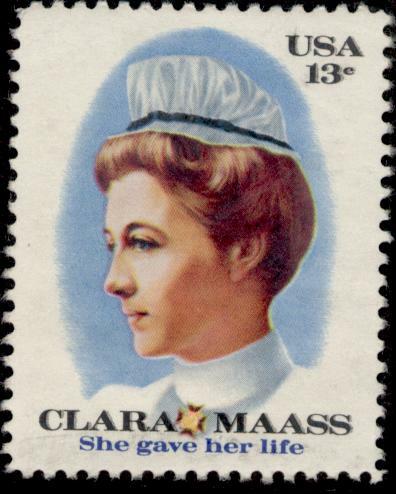 It was replaced with a new 17-story building on an adjacent site in 1958 and renamed as the Harrison S. Martland Medical Center in honor of the long-time City pathologist. ​​Nonprofit established in 2000 by major corporations, health insurers and others to aid their sponsors and public in selecting hospitals and other health facilities. Data voluntarily provided by nearly half of all US hospitals through annual survey, includes factors such hospital's C-section rate, safety protocols and re-admission rates. Also assigns letter grades to hospitals based on their record of patient safety based on data from errors, injuries, accidents, and infections. In cases where hospitals decline to voluntarily submit information (e.g the two Atlanticare hospitals in Atlantic City and Pomona; East Orange General Hospital, and St. Luke's-Warren campus in Phillipsburg), they are evaluated on available public data. Leapfrog's most recent Hospital Safety Grades survey released in fall 2018 ranked New Jersey with the highest percentage of 'A' hospitals in the nation at 56%. The lowest grades were given to University Hospital in Newark which received a 'D' and East Orange General Hospital which received an 'F'. ​​Leading online publisher of information grading hospitals and physicians, publishes annual America’s 50 and 100 Best Hospitals™ and other designations in such categories as Clinical Excellence; Women's Health etc. Its 2018 national report listed Morristown Medical Center among 50 Best Hospitals and Overlook Medical Center in Summit among 100 Best Hospitals. Both hospitals, along with the two hospitals of Atlanticare Regional Medical Center in Atlantic County, also were named in January 2018 as recipients of the Healthgrades Distinguished Hospital Award for Clinical Excellence™. Selections are based on assessment of superior clinical outcomes across the majority of common inpatient conditions such as heart attack, heart failure, pneumonia, respiratory failure, sepsis and stroke which are sustained for at least three consecutive years adjusted for each patient’s risk factors, such as age, gender and medical condition. The analysis is based on more than 45 million Medicare claims records for the most recent three-year time period available from nearly 4,500 hospitals nationwide. Evaluations also include percentage of discharged patients who would recommend hospital. In 2015, the US Centers for Medicare & Medicaid Services introduced a hospital rating program, with overall scores ranging up to five stars for the best performance. The evaluations assess quality of care on up to 57 measures reflecting common conditions such as heart attacks or pneumonia, aspects of quality such as rates of infection and complications at over 2,200 Medicare-certified hospitals with at least 100 beds in US. Reports also provide results of patient surveys on factors such as communication of nurses and doctors with patients; responsiveness of hospital staff to patient needs; cleanliness of hospital environments; and preparation of patients for discharge and post-hospital settings. The Hospital Compare rating system has been criticized for using criteria which penalize urban and teaching hospitals, which typically treat high proportions of patients with the most difficult conditions and also have other underlying health factors affecting treatment outcomes, as well as giving excessive weight to small hospitals with 100 beds or less and over-emphasizing patient perceptions as a measure of quality of care. In addition to inspecting and licensing hospitals and other health care facilities in the state, the New Jersey Department of Health publishes reports and data on aspects of the health care system. Its Office of Health Care Quality Assessment publishes a Hospital Performance Report (sometimes referred to as the Hospital Report Card), with the most recent issued in 2018 based on 2015 data. Among other information, the Report publishes comparative statiistics on cardiac surgery mortality; treatment of pneumonia, acute stroke and other conditions; and patient safety indicators such as the rates of infections. An online version of the printed Report allows users to select individual hospitals for comparison on specific measures. The Department of Health also publishes an online Services Profile summarizing hospital information and statistics for each facility on licensure dates; number of beds, operating rooms, special equipment (e.g. magnetic resonance imaging, linear accelerators, hyperbaric chambers) and state designations as centers for treatment of trauma, strokes, perinatal and other conditions. Information service of data and publishing firm Quantros, Inc. provides clinical, financial, and patient satisfaction findings to consumers, providers, and purchasers of medical care, including composite evaluation of all components of medical quality including process of care, outcomes of care, and patient experiences. Special services/designations: Primary stroke center; community perinatal center-intermediate; acute hemodialysis service; state angioplasty demonstration project; recipient of American Stroke Association and American Heart Association Get with Guidelines®–Stroke Silver Plus and Heart Failure Gold Performance Achievement Awards; other programs include Human Motion Institute musculosketal program, Institute for Weight Loss, Center for Wound Healing, Sleep Medicine, pulmonary rehabilitation.